The system is currently stable. NATIONAL NEWS - South Africans stand a good chance of having electricity for the whole of Sunday, according to Eskom spokesperson Khulu Phasiwe. 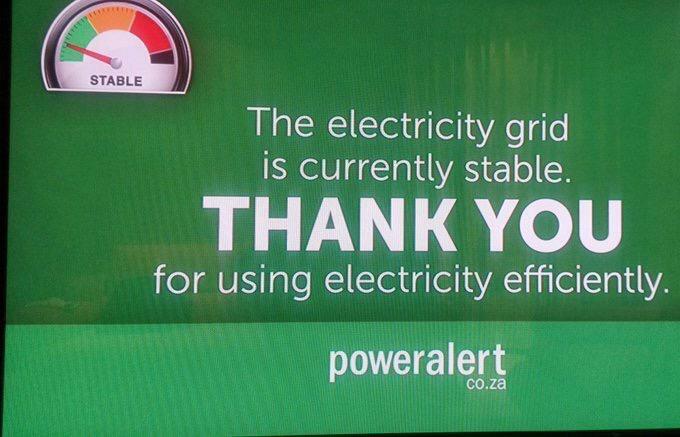 Eskom warned earlier that the probability of Stage 2 load shedding remained high for Sunday. However, electricity-generating units are operating at full capacity due to maintenance, eradicating the need for load shedding today. Diesel tanks and water reservoirs have been topped up for storage stations. The power utility appealed to consumers to use electricity as sparingly as possible, to avoid putting any unnecessary pressure on the already fragile grid.